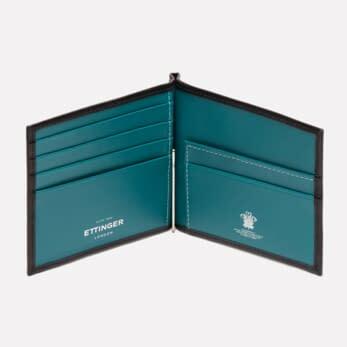 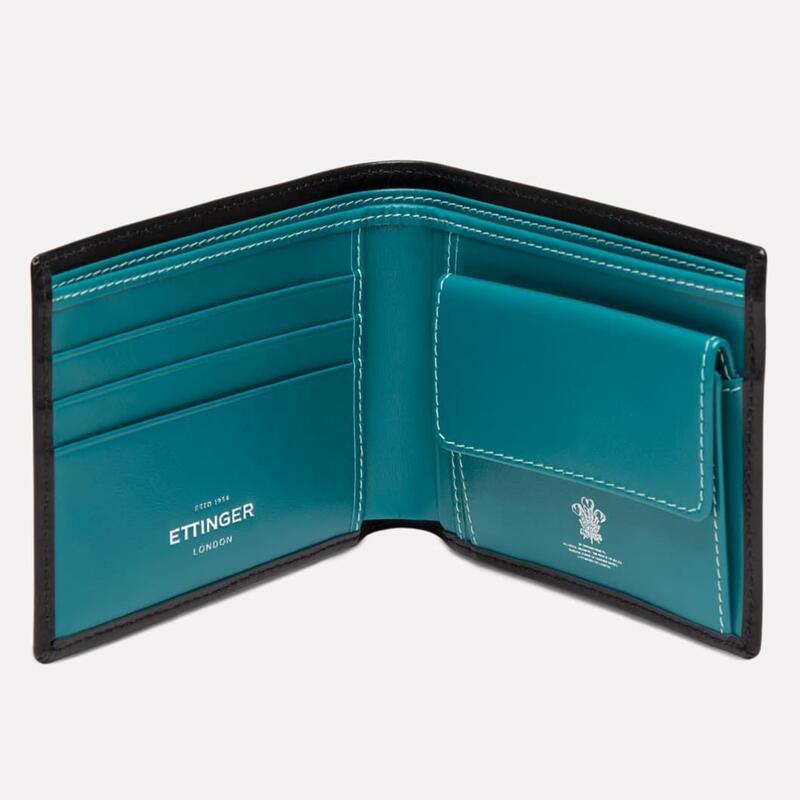 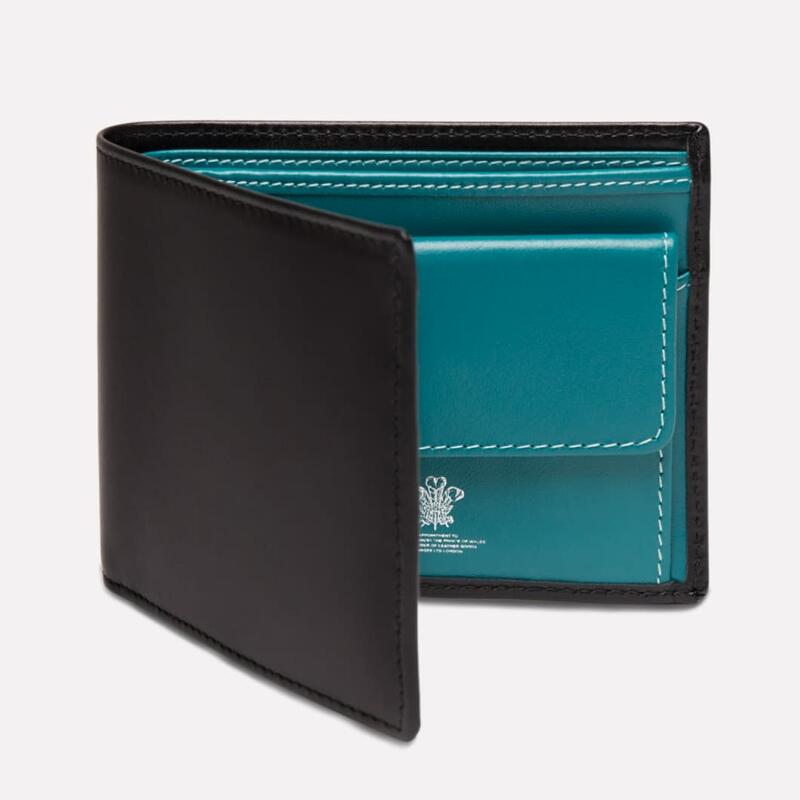 Inspired by the regal hues of the £5 British banknotes, this billfold exudes style and confidence with its rich turquoise interior. 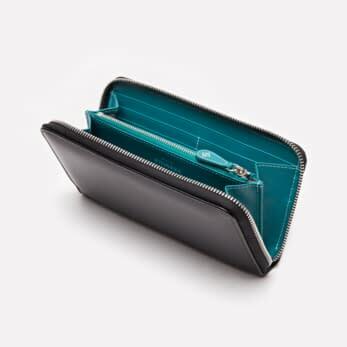 The neat coin section means you can keep all your coins with your notes and cards. 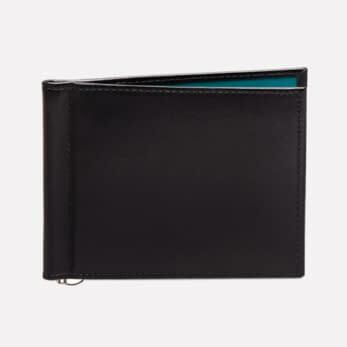 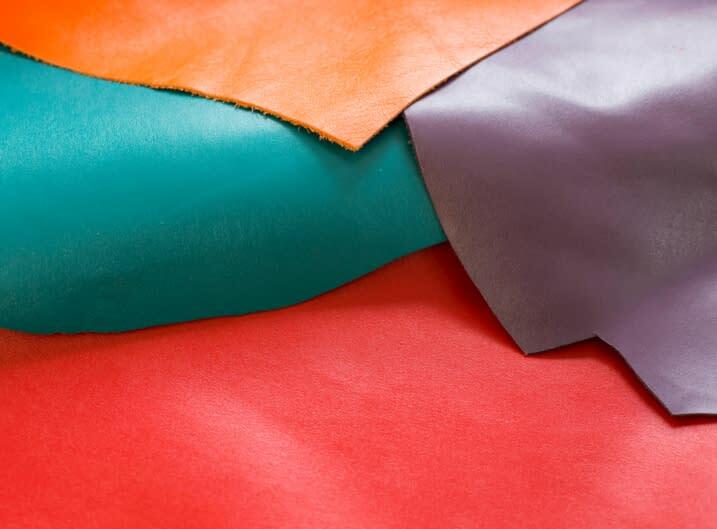 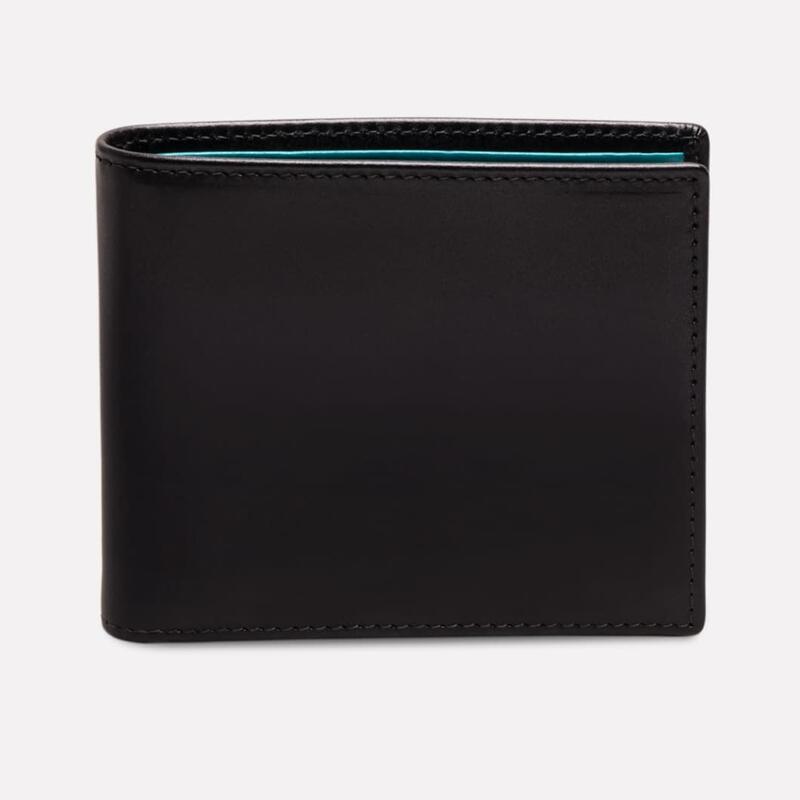 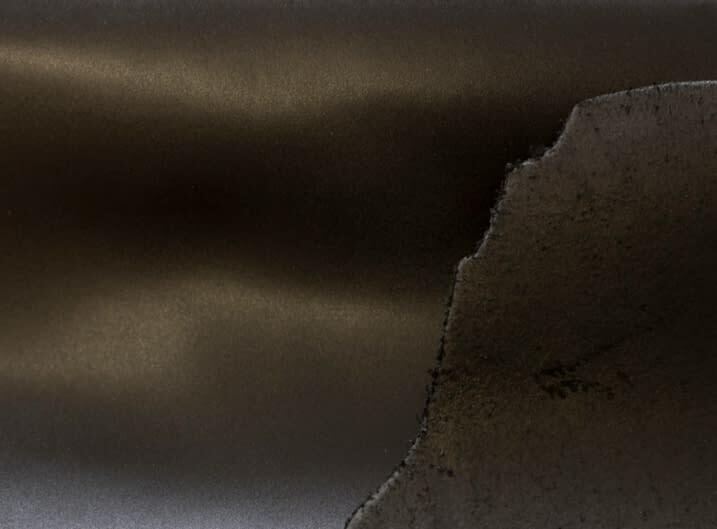 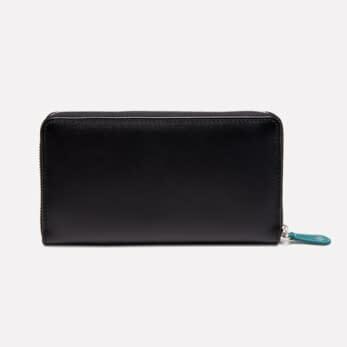 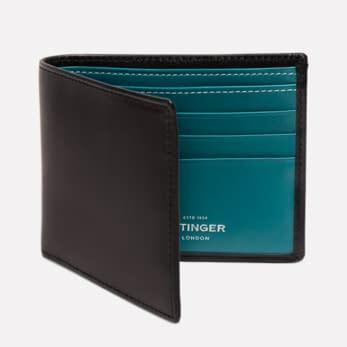 The buttery soft leather interior is combined with a fine black calf exterior to lend the whole wallet a touch of extreme refinement and timeless appeal.